With the increasing failure rate of first-time test takers of the American Board of Medical Specialties' Maintenance of Certification program, no study of the impact of failing the examination upon physicians (and the patients they serve) has occurred. Specifically, I am interested in the economic, professional and psychologic consequences of failing the Maintenance of Certification examination for previously board-certified practicing physicians. To that end, I'd like to compile the stories of people who have FAILED their Maintenance of Certification examination. I would like to know the cost in both time, money and consequences that was impacted by the failure, whatever they were or were not. I hope to publish a paper in a major medical journal on my findings. Commentary can be sent to me one of two ways: (1) private e-mail (wes -at- medtees dot com) or (2) by placing a comment to this post (since all comments are moderated, I will only publish those that I am granted specific permission to publish) here. (3) A description of what it was like to learn you failed, actions taken (re-score request, additional review course, repeat testing, retirement), loss of income. (5) Cost, but in time and money spent for the various parts of the process. (6) Did your results appear on the website "CertificationMatters.org"
(8) THIS ONE'S IMPORTANT: Willingness to have your name mentioned publically. ALL RESPONSES WILL BE KEPT STRICTLY CONFIDENTIAL otherwise. I will compile the data I receive, both as discrete variables and comments that allow publication. It is quite possible that many academic journals will not publish the results obtained in this survey and, if so, I will co-publish the composite data on this blog for all to review. I appreciate any and all feedback I might be able to obtain. The face of the dark side of Maintenance of Certification needs to be understood and reported. Thanks for your coooperation in this effort. Should Cardiologists Boycott the 2014 TCT/ACC Conference? Yesterday, I noticed a tweet from @angioplastyorg announcing that former Secretary of State Hillary Clinton will be this year's keynote speaker at the Transcatheter Therapeutics Conference (TCT) in Washington, DC. The TCT occurs each year in partnership with the American College of Cardiology. Most doctors probably won't think much of this, but for many who spend 12 hours or more each day in a dimly lit cathlab , the prospect of sharing the bright wattage of Ms. Clinton radiating down upon them is seductive indeed! And look how the ACC is helping cardiologists: they were able to land the presumptive next President of the United States to speak at their conference! Can't you just see the event planners giving each other high fives! Who can beat that? In reality, most cardiologists couldn't care less about Ms. Clinton. They'll oversleep or consider her address as nothing more than marketing theater. But to dismiss Ms. Clinton's presence at this event misses some important considerations. Is the purpose of the TCT conference to hobnob and aggrandize politicians, especially one who could become President, or is to educate and inform physicians? Is the purpose of paying Ms. Clinton's hefty speaking fee about gaining her ear, or to make a political contribution from Big Business and the crony capitalism that pervades health care now? Is the real purpose to of her presence as keynote speaker to address cardiologists real concerns or so that ACC leadership can position their proprietary NCDR databases and "Appropriateness Criteria" as quality metrics to permanently pad their bottom line? 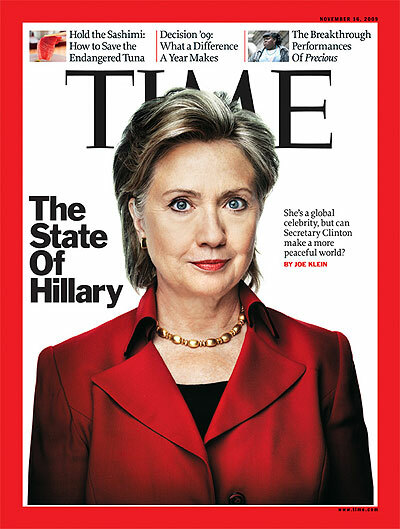 Suddenly, Ms. Clinton's appearance takes on more cardiovascular gravitas. Every cardiologist sitting in that hall will have just come through a year experiencing less time with their patients, less clinical autonomy, intrusions on their practice, while increasingly being coerced to perform bureaucratic tasks that mean little to patients yet everything to corporate interests. What do we imagine will, in fact, be addressed by Ms. Clinton as we buy our plane tickets and carefully pack our suitcases? Do we think for one moment that Ms. Clinton or the ACC will have the slightest compunction to address the serious concerns of the cardiology community? What do we imagine the ACC will address about these concerns in the rest of the meeting? ACC should wake up to a new reality. Recall that it was a small group of cardiologists who started the anti-Maintenance of Certification (MOC) petition against the new, more onerous MOC program devised by the privately held American Board of Medical Specialties and the American Board of Internal Medicine. Over 18,000 doctors of all types have signed that petition now. In response to that petition, the ACC performed a survey of their member chapters nationwide. 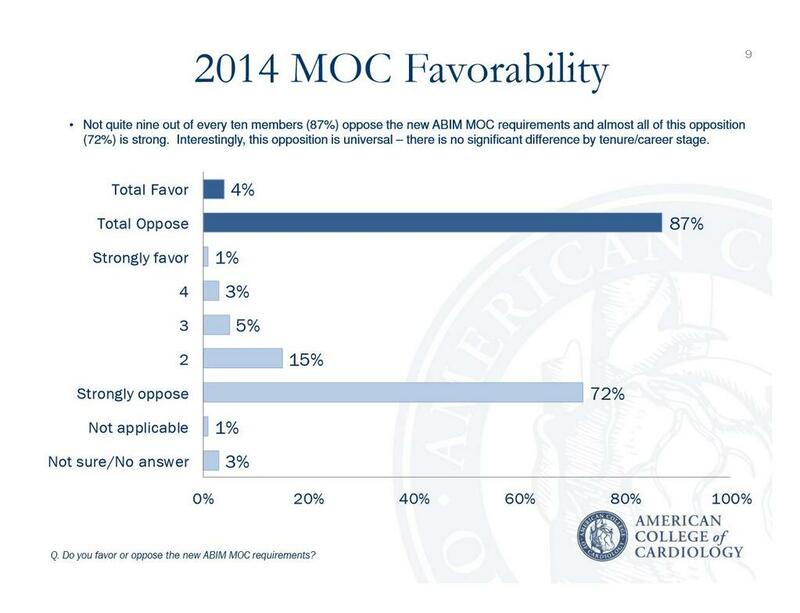 The anti-MOC sentiment from this survey was overwhelming. Many senior doctors even mentioned it might make them consider early retirement. In turn, the ACC's response was lukewarm at best. This was likely because the ACC's history has been to support the lucrative review courses this program requires. 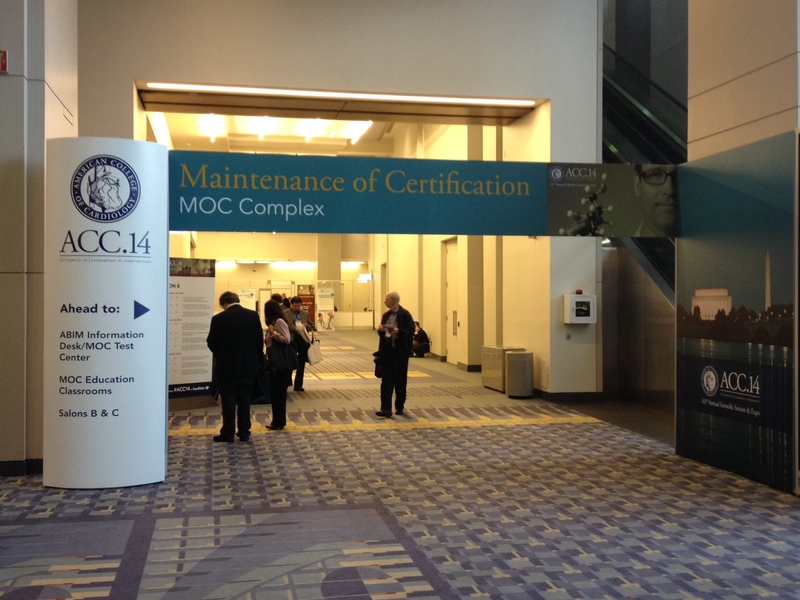 These courses are so important to the ACC's bottom line that they even devoted an entire "MOC Complex" hall at their last scientific session to promote the MOC program and still aggressively market the program on their website. This is hardly a show of solidarity with their member cardiologists'. It is time front line cardiologists put action behind their anger over the MOC process and the ACC's indifference. It is time to consider a boycott of the ACC/TCT meeting in Washington. To that end, the ACC leadership needs to stop pandering to politicians and corporations eager to profit on doctors and instead start advocating for their own members. The preeminent assumption in program planning at events such as these appears to be that physicians are passive, apolitical, and unaware. Why would the ACC or any other physician membership organization feel the need to change? For this reason, the time to boycott is now. If the boycott is successful, perhaps the ACC leadership will take the concerns of the member cardiologists' more seriously than the politics of creating public-private partnerships that threaten to compromise, rather than promote, the care of our patients. Does the ACC really believe they can remain relevant without physician participation? We should note that alternative professional organizations are beginning to evolve. Whether the ACC has realized this or not, they are coming to a juncture where they will have to decide whether they represent physicians and their patients or the Iron Triangle. Physicians are not lawyers, they are uncomfortable acting collectively or politically, much to their detriment in this era of rapidly morphing health care regulation and intrusion. I can still hope that the ACC and other organizations such as state medical societies will have the capacity to represent the real interests of their physician members. But increasingly I am concerned they won't. But we should be clear: physicians' actions mean something. So this doctor will not be attending this year's meeting because it's one of the only ways I have left to send a message. I hope others will consider the same. "Oh my God, I can't believe how complicated the American Board of Medical Specialties and the American Board of Internal Medicine has made this whole Maintenance of Certification (MOC) process!" "Yeah, pretty amazing, isn't it? 10 points here, 10 points there, 20 points for a (required) Practice Improvement Module, then another 10 points if you complete another module online. And after all that, you're only half way there!" "Where am I going to find the time? They need to make this process easier!" "Face it. That isn't going to happen. Look at the ineffectual ideas the member board members are telling the ABIM leadership in their precious '3-5 minutes' of feedback: making sure physicians can get 'credit' for patient surveys and quality assurance projects they already do, making the ABIM website 'easier-to-navigate,' making patient surveys 'more flexible,' lowering costs, and 'providing more transparency from ABIM on how requirements are created.' I'm not seeing any cuts to any of this, I'm just seeing different versions of the same old same-old." "Dude, you just completed your MOC process, how did you do it?" "I'll tell you a secret, but you have to promise TOTAL secrecy." "I promise! I'll do ANYTHING to get this MOC monkey off my back!" "Okay, here's what you do. Remember that research project you wanted to do on kids but never could get off the ground because the IRB stonewalled you, claiming lack of consent in minors and all that red tape regarding research in minors?" "Well, just call your work a 'quality assurance project' you have to do for your MOC points! No one would dare question your intent, after all, it's to improve quality care and patient safety!" "Sure you can! No one dares question the lofty ideals of the ABMS/ABIM's MOC program. After all, they interconnected with the ACGME, the Joint Commission, American Medical Association, the American Hospital Association, the whole works! You just do your thing and no one will think anything of it except 'you're the MAN!' I mean these MOC points are our new hall pass to do anything you like on people in the name of quality of care! It just has to sound reasonable. And man, you need those points, don't you? You'd be killing two birds with one stone and potentially get a publication out of it to boot! Better yet, you can claim "no conflicts of interest" because you never receive a dime for your efforts. Your IRB will never look, trust me. Paraphrasing a former famous politician: 'I've got this MOC thing, and it's f*%^in' golden!" "I see. And if we do it your way, we can even get paid more, thanks to that CMS incentive they've created!" "Now you're catchin' on. It's our new currency. I'm telling you, it's f*%^in' golden!" This morning the American Board of Medical Specialties' (ABMS) Maintenance of Certification (MOC) program debate reached a larger mainstream media audience when the Wall Street Journal published their article by Melissa Beck entitled "Skill Reviews Upset Doctors." While it is certainly nice to see an article reaching the main stream media concerning doctors' concerns with the MOC program, the issue with the MOC debate is not that doctors are upset. The real issue is that doctors have been enslaved by special interests and crony capitalism to complete a MOC process that robs patients of more time with their doctors so that regulators and payers can enrich themselves. "Many practicing physicians have not had formal courses in patient safety or quality improvment." Ahem. I wonder if Ms. Beck or Ms. Nora have ever heard of the Hippocratic Oath? Doctors spend their entire careers (not to mention many sleepless nights) worrying about their patients' safety and care. Their livelihoods depend on it! Yet there is never a moment of serious reflection regarding the sweeping hubris of Ms. Nora's statement. As spokesperson for the American Board of Medical Specialties, Ms. Nora suggests that without oversight, doctors are lax, uninterested in research or updating their techniques, inattendant to patient safety and unwilling to update their skills. Instead, the ABMS welcomes the tripling of patient volumes, the cameo roles that doctors are increasingly asked to play in patient care, the refocusing of one third to one half of every patient visit staring into an electronic medical record so the ABMS can watch for flinches in quality of care. The overseer who allowed this untenable health care scenario to transpire is effectively positioning themselves to patients that they are their last best hope. Ms. Beck's piece also ignored the existing CME requirements that physicians already must perform each year to remain licensed and the value of such truly voluntary learning. Instead, Ms. Beck chose to highlight a quote from Richard Armstrong, MD - a board certified surgeon clearly without formal media training - who said: "No one wants to come out and say we're against quality, but most physicians find these modules to be cumbersome and, frankly, a joke." When doctors are quoted calling any quality process "a joke," it really doesn't matter what the doctor actually said, for few will take him seriously. Let's be clear: the MOC process is not a joke, it's more like the twisted controlling strategy of the Hunger Games. Ms. Beck also ignored that some MOC requirements now involve enrolling patients into study groups without their consent, doing the study and then reporting the data back to the boards. According to one doctor, "there are nearly 400 research projects being done on children through part 4 of the ABMS MOC program. Not only is performing research on children without consent immoral, it is costly in both time and money for the patient." Isn't this consideration important for patients? Finally, Ms. Beck's article ends with the ABMS's claim that "500,000 of the more than 800,000 board-certified physicians have enrolled in MOC programs to date" implying that the majority of doctors support the program. Yet this statistic completely ignores the fact that doctors had no choice but to sign up for MOC despite their better judgement. As Ms. Beck hesitantly acknowledges in her article, this unproven physician metric is now increasingly tied to measures of physician "quality," hospital privileges, legal standing in court, and insurance panels. This unproven MOC program that was created by a self-appointed, private organization that is completely unaccountable to the public has also been indelibly etched into our new health care law. No, it's better not to mention these unethical and extortionary tactics by the ABMS that threaten patient care. Instead, it's far better to call doctors "upset." Do you want to "raise awareness" of how physician quality and value information impacts health care decision making? Do you want to spin your data via the Associated Press internationally? Just have the Robert Wood Johnson Foundation pay for a survey! We all know how great surveys are, especially when you design it to "raise awareness" for the low, low price of $604,454! (2) Lots and lots of numbers and scientific-looking charts. (4) A republishing of your "key points" by a few business-minded online health care journals eager to demonstrate relevance of using "quality measures" to determine health care "value." (5) An opportunity to collaborate "on all aspects of the study!" Look, these guys did a survey with 25% response rate that totaled a whopping 1002 people - or about 0.000000317 of the current US population! Heck, no bias there, right? Then they add a few "sampling weights" and calculate the survey response rate using the important sounding American Association of Public Opinion Research's Method 3! What's that? You're not familiar with Method 3? What kind of scientist ARE YOU???? See? And that response rate, according to the white paper, after applying "sampling weights" had "an overall margin of error" of "+/- 4.0 percentage points, including the design effect resulting from the complex sample design." Heck ya, I'm seeing accuracy there, aren't you? "Major investments are being made in health care systems like Accountable Care Organizations and in tools like Physician Compare. Similarly, health insurers and employers are exploring new benefits designs that incentivize consumers to select providers and hospitals that provide the highest-quality care while reducing costs through value-based provider networks and tiered health plans." It's important that we all understand just how critical these surveys paid for by political organizations will be to health care in the years ahead. Spin, you see, is everything. 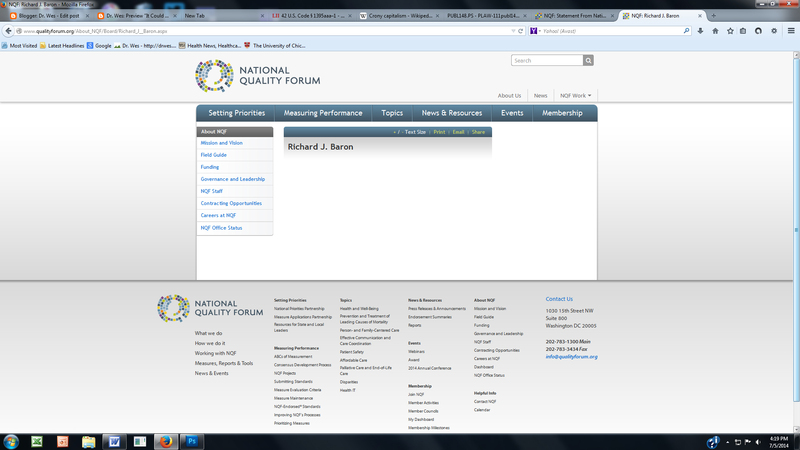 Thank goodness the Robert Wood Johnson Foundation (who's CEO, by the way, has also partnered on other publications about patient safety and medical professionalism with members of the American Board of Internal Medicine and National Quality Forum) can show us the way! I feel so reassured that this is the caliber of science being used to shape US health care now. The dark underbelly of health care is becoming all too visible now. Fresh faces in neatly pressed white coats are in the halls. Eager. Enthusiastic. Clearly very bright. All hoping for a moment, an experience, an encounter that makes all their hard work worth it. Surely they'll have one, but not before the thousands of keyboard clicks, the mandatory lectures, rounds and lots of lengthy, lonely call nights. He was a doctor from another time, well into his 80's. Lovely man with an infectious smile, mesmerizing foreign accent, and almost regal presence. An authority in his time and still attends lectures to stay engaged, a question passed his way from time to time out of respect for his experience and insights. But he kept nearly falling at night and became concerned; even confused once. This was not like him. So he was admitted, observed and had a heart rhythm that was not normal. Blood thinners were started cautiously. Surely he could manage them. His wife, ever-present at his side, was equally engaging, concerned. And so, as fate would have it, after hundreds of thousands of keyboard clicks, I came to know them and realize his heart beat was too slow at times, dangerously so. After lengthy discussions of the good and bad, the options, the data, he agreed a pacemaker made sense. Trustingly, he wanted it performed soon, eager to return to the lectures he loved. So the next morning after a night of worry, we assembled. His smile greeted me as I came to his bedside to obtain written consent, answer any last-minute questions, and silence the noise of concern. He was ready to go. So I left his bedside to change into my scrubs, trying to hang my newly pressed shirt and tie to the side to preserve it for later behind a changing room curtain, when I heard a voice. "Dr. Fisher, I'm so sorry..."
"We can't bring your patient in the room." "We didn't know he's UnitedHealthCare. He's Medicare Part C!" "You placed your order after 4PM, and we didn't see it until this morning. We have to get pre-approval from UnitedHealthCare for his pacemaker. They said it would be two or three hours..."
"Yes. It's his insurance. If you don''t get pre-approval, you won't get paid and he might have to pay for the procedure." I stood, pants in hand, dumfounded. So I finished changing and exiting the changing area to clear my head. I called our administrator. She said, "Let me see what I can do. I'll call you right back." Within minutes a reply was sent: "You have to wait." I thought of my frightened patient lying there vulnerable, so I went to his bedside to explain. He looked at me as a fellow physician, and he shook his head in disbelief, all the while naked beneath the covers. He agreed to wait - he had no choice. I left to get a cup of coffee and to collect my thoughts. What else could I do? I put a detailed note, an order, a consent order last night, and a pre-anesthetic note this morning. All keyed in, all according to protocol. Then a nurse appeared with a note. "If you call this number, hit "3" on the menu selection, and enter this case number, you can do a peer-to-peer." "Peer-to-peer approval. You talk to a medical director and they might be able to expedite the approval for the pacemaker." I looked for a moment at the "800" number, sighed, and called. The woman who eventually answered after I heard "all attendants are busy" was pleasant enough, full of "good morning, doctor" and "what can I do for you." I explained the situation and wanted the ordering physician's name. I spelled my name to her. Keyboards were heard in the background. "I see that his is for a CPT code 33208, correct?" She must have known that I knew my codes. But I knew that was wrong. He was not getting a dual chamber pacemaker, he just needed a single chamber, VVIR pacemaker. "No, that's not correct. It should be 33207," I replied. "I'm sorry but I've tried to change that code under this case number and it seems I don't have authorization to do that. Can I put you on hold while I speak with the medical director to see if he can make the change?" "Sure," I said. What choice did I have? So I waited, listening to some nondescript melody in the background as I was placed on hold. A few minutes later, the same voice returned. "It seems the medical director couldn't change the information on this case number either, but I'm going to try to make a new number based on the CPT code you gave me, then I'll have the right information to give to the medical director, okay?" "There. I think I've done it. Let me transfer you to our medical director...."
A click, some music, then a pleasant official-sounding woman's voice. "This is Doctor Frigamafrats. I'm sorry about the delay, I hope you didn't have to wait too long..."
A conversation ensued. I explained the rationale for the pacemaker, then finally was granted approval. Case number 2342343240 and approval number A321232451, or something like that. I notified the staff and handed the numbers to our clerk, knowing full well that pre-approval does not guarantee payment. Forty minutes rather than 120. It's the game we play now. A new game. The Game of Numbers. Of money. Clinical doctors as agents for others who call themselves a "doctor" yet are unfamiliar with the patient and unexposed while they make the call. ... yet all being groomed to play the game. Now that this is firmly established, the question becomes, what are are we going to do about this? Create legislation altering the Affordable Care Act? Develop a separate testing authority to compete head to head with the ABIM's process? Mass non-compliance? Suit? This challenge is a good representation of Nancy Pelosi's famous line: "But we have to pass the bill so that you can find out what is in it away from the fog of the controversy." Well, now that our new health care law has been enacted with the ABMS's MOC program firmly in place, change will not come easily. This is a great example of how difficult it will be to change any part of our new health care law that is problematic. I encourage readers to post their suggestions regarding how they might consider changing the ABMS MOC program requirement contained in our new law in the comment section of this blog. Addendum 22 July 2014: Welcome WSJ Readers! The American Board of Medical Specialties' (ABMS) Maintenance of Certification® (MOC) program is marketed as "an ongoing process of education and assessment for certified physicians to improve practice performance." After reviewing the recent failure rates of this program over the past five years, I worry the process is not about assuring physician quality, patient outcomes, or practice improvement, but rather as a means to ration the number of doctors eligible to earn Center for Medicare and Medicaid Services (CMS) payment incentives. As I've previously reviewed, the ABMS MOC program and the physician registry it creates has been written into our new health care law. To date, the MOC program serves as the sole measure of physician "quality" for the upcoming CMS value-based physician payment model that is to replace the current fee-for-service model in 2015. To create an incentive for physicians to participate in the MOC program, CMS offered a 0.5% payment incentive to the Physician Quality Reporting System for physicians participating in the MOC program in 2014. While this does not sound like much money, if we consider that physicians were paid $77 billion from CMS in 2012, this 0.5% represents approximately $385 million dollars paid to doctors (or their employers). Imagine the cost savings to the government if physicians were not eligible for such a payment. I decided to evaluate the failures of "first time" MOC certification for all board certifications issued by the American Board of Internal Medicine from the pass rate data published online by the ABIM. The number of failing physicians was calculated by subtracting the total number of doctors taking each examination from the number of doctors passing the test to arrive at the number who failed. Non-integer values were rounded. Next, I added up the total number of doctors who took the various ABIM MOC examinations each year and the total number who failed each year to generate an annual MOC percentage failure rate. I calculated these values for 2009, 2010, 2011, 2012, and 2013. I then applied a linear regression line comparing the total test takers and the total number of doctors failing the examination by year. I then calculated the number of "certified" physicians each year as a "difference" of the total and failed physicians each year and applied a 2-period moving average trend line to these values. While the number of first-time MOC test takers grew each year studied, the failure rate also grew significantly. Is this because physicians were significantly less intelligent in 2013 than 2009? Does this mean that board review courses run by each of our professional specialty societies are less relevant now than they were despite their growing price? Or might such a failure rate really be a way to "bend the cost curve" for health care delivery by covertly rationing the monies CMS pays physicians? Each of these are fair questions that need to be answered honestly by CMS, the ABMS, the ABIM, and our professional specialty societies that collude with the ABMS as they run their various MOC board review courses. It goes without saying that test scoring methods and the raw responses of questions performed as part of the MOC process are shrouded in secrecy and serve no retrospective educational learning opportunity for doctors taking these examinations. Doctors who take the MOC testing must also sign a statement that they understand that divulging content in the examination will be met with harsh penalties including, but not limited to, possible revocation of hospital privileges or reporting to state medical licensing boards. In return for this promise of secrecy, the ABMS and ABIM appears to operate in an environment that violates the trust of the public and those they test. They do not explain their consistently higher failure rates seen year over year. They do not mention the relationship they have to physician payments from government sources when physicians enroll in their MOC program. Instead, they describe their process as "voluntary." They espouse the ethic of "the need for public accountability and transparency," yet deliver none of these things themselves. As such, it is clear that physician quality assurance or practice improvement is not the ABMS or ABIM's real mission for public good. 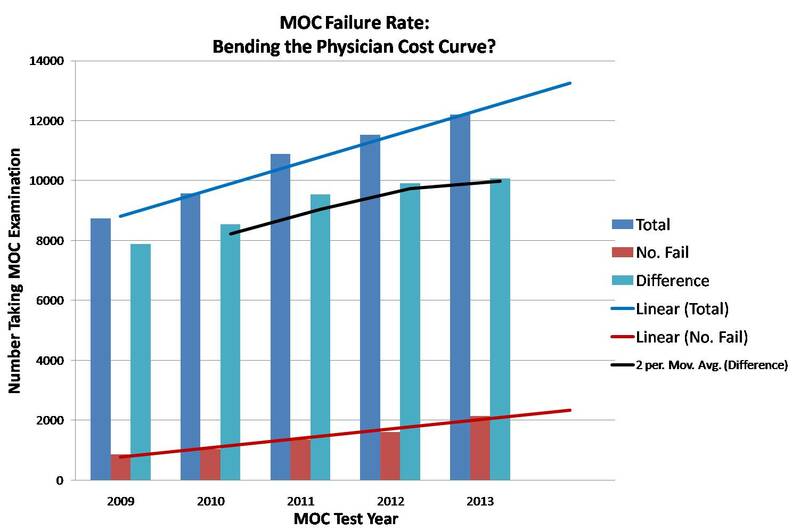 Rather, it appears from the MOC program failure trends above that the real reason for the ABMS MOC program is not only for self-enrichment, but to provide government cost savings without regard to the professional consequences to the many physicians they test and the patients ultimately affected by the loss of eligible care providers from their insurance panels. A new CMS National Coverage Decision for pacemakers begins today. Here are the specifics. If your patient is getting a pacemaker for atrial fibrillation or other "ineffective atrial contractions" with symptomatic bradycardia, be very sure to document the "non-reversible" nature of the symptomatic bradycardia in your note and have your billing staff consider adding a "KX" modifier to the claim line(s). Remember, most regulators look at codes, not notes.